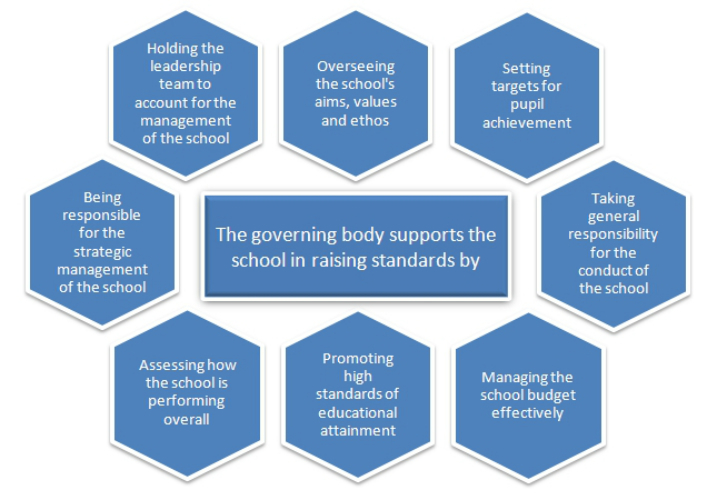 What are school governors, exactly? We aren't paid a penny for our pains, so we're amateurs. 'No way', say some. 'We're not dabbling dilettantes. Unpaid professionals, us.' I hear what you're saying, but by most definitions, being a pro means at least three things: you get paid, you're qualified, you've been approved by an official body to work in a 'profession'. Like a doctor, lawyer, or a teacher. By that definition govs only meet one of the criteria. We're recognised as govs by being appointed to a GB. Apart from that, there are no formal qualifications and we don't get paid. If meeting only one of the criteria will do, then my kids were pros when they got paid a few quid a week to do a paper round. With more than a little help from mum and dad. Now, governors are often people from a professional background, but not exclusively so. 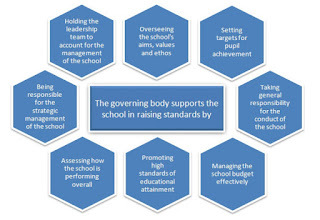 All you need to be a parent governor is to have kids in the school you're governing. Stay at home mum/dad, mechanic, marine engineer, whatever. Doesn't matter. The parental perspective is valuable in itself. GBs tend to be a bit more picky when it comes to the skills of people they co-opt to the board. At least, they should be. Even then, governors aren't meant to function as education professionals. It's not for us to run the school on a day-to-day basis, or undertake lesson observations to judge the quality of teaching. That kind of thing is rightly left to the edu-pros. Govs have a strategic rather than operational role. What that entails should be explained to new recruits via induction and training. An effective chair will ensure that their GB keeps to its side of the strategic/operational dividing line. Not even chairs are paid for their efforts. Strictly speaking, they are amateurs too. But not in a bad way. I'd like to reclaim amateurism, doing something for the love of it, from its negative, bumbling connotations. Prior to 1995 Rugby Union was an amateur game. I'm old enough to remember the Welsh rugby team of the 1970's, Barry John, Gareth Edwards, J. P. R Williams, etc. YouTube them and prepare to be dazzled by their sporting wizardry. Amateurs one and all. Oh for a GB comprised of governor-equivalents. If schools had a Six Nations Championship rather than Performance Tables, they'd smash it. It's not as if the coveted 'professional' label is wholly unproblematic. You can have a professional gambler, foul, hit man, and so on. The 'professionalisation' of governance has had some unwelcome side effects. In one Multi Academy Trust, a PR firm owned by the vice chair of governors was awarded a contract for £243,567 here. Talk about conflict of interest. Some good old Corinthian amateurism wouldn't have gone amiss there. Intellectual honesty is called for. The 'unpaid professional' thing is an oxymoron and no one likes an oxymoron. School governors are not educational professionals. When asked, most want no remuneration for their role. And there is no PGCE equivalent for govs. Bumbling dabblers, then? Hardly. Governors are volunteers, not conscripts. No one forced us into it. Our schools need us to be skilled-up stakeholders, ready to scale the commanding heights of strategic leadership. If 'professionals' isn't quite appropriate and 'amateurs' sticks in the craw despite my best efforts, how should we be labelled? I suggest school governors should be called 'public servants'. That chimes in well with the Nolan Principles of public life to which our Codes of Conduct rightly refer. Governors, we are public servants. Agreed?